Entrepreneurs come from many fields and many places. This year at AZEC10 we have a special treat in store for you, the chance to hear from an entrepreneur who came from half-way around the world to create a home and a business in Arizona. Entrepreneurs are story tellers, risk takers, and creators who take a vision and work together with others to create something magical. The same can be said of film makers and wine makers. You might enjoy this video as international film maker and winemaker Sam Pillsbury shares a bit about how he feels about Phoenix and his journey from film to fields to fine wine. As part of the ongoing series about the people you will meet at AZEC10, I got a chance to ask Sam a few questions about his journey and his experience. He will be sharing more from the main stage at the conference – but as they say in the world of wine, sometimes all it takes is a taste to get you coming back for more. JKW: How do you see your role in AZ’s entrepreneurial eco-system? SP: I grew up in a country, New Zealand, which evolved from seeing itself as a colony of Great Britain to being a country proud to produce great things itself, which included eventually, among other things, wine and movies. When I first moved to Phoenix, I found a state which still thought that if it was made here, it was not good. Everyone wanted to live in a Tuscan mansion, which has nothing to do with the Arizona desert and climate. ABSURD! I wanted to go against that trend and make a premium world class wine that was 100% original and unique, completely grown and made here. Ten years ago it was an incredible struggle to be taken seriously, but that has changed remarkably in the last three or four years. 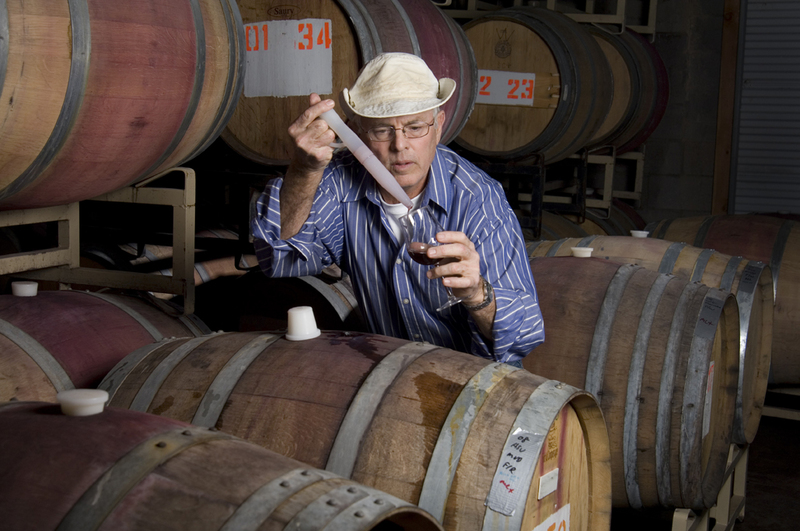 I planted my first vineyard in 2000 in Cochise Country and started my own wine label in 2006. JKW: Neither the art of film making or the art of wine making are quick or simple processes. As the leader you need both patience and resolve. Did you ever get stuck? What was your “reset” ? SP: I have gotten stuck in the movie making process. It’s partly due to not being in control, like with the movies I made in the USA. With the wine venture, I started it because I love wine, but I also set it up so that I could always be in control. This way my work can not be compromised and I am 100% responsible for what I have produced. That does not mean that I don’t need a great team. A number of people have helped me and the company along the growth path including Rob Dunaway, Bob Vera, Al Buhl (a former wine partner in Dos Cabezas) and now my executive director Lindsey Higginson. JKW: The Pillsbury Wine Company is gaining recognition and high marks as a rising star. What is your goal for 2011? SP: I want to make the best wine in America and increase production by 50% in the coming year.